Surgeon Simulator 2013 is quite a popular Oculus Rift game amongst Youtubers since the level of challenge and silliness it provides is really incomparable to any other game. It supports the Oculus Rift headset as well as the Hydra hand tracking system. The goal of this game is simple. And that is the only thing that’s simple. You have to replace the needed organs of the patient in front of you, and at the same time he must NOT bleed out and die. You have a variety of different tools at your disposal, although it does not make your job any easier. Grabbing the desired thing by itself is rage worthy for some, never mind using it the proper way. Although everything seems close to you when you look down with your virtual reality headset, it is really frustrating when you accidentally kick something off the table. You might even unintentionally inject yourself with a needle that makes your vision blurred. And that needle should be used for the patient to get his blood loss level down. 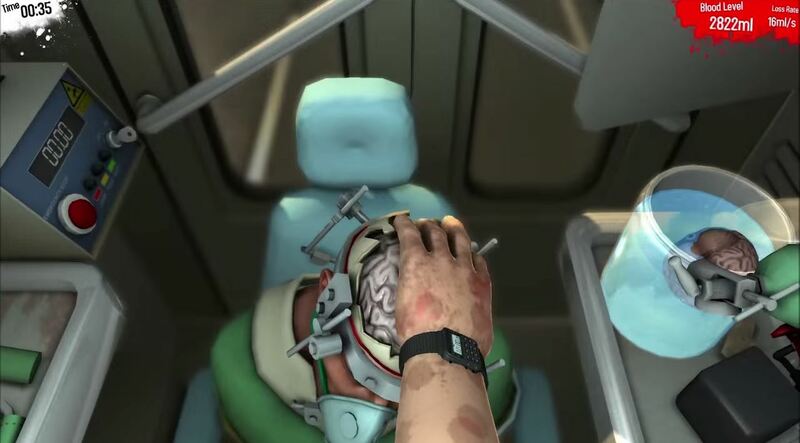 Still, even though it is a very frustrating and nerve wrecking game, it does not fail to amuse you when you look down at the patient, or at your innocent looking hands. For those of you however, who do not like the sight of blood or organs, should stay away from the game since you are going to be dealing with a lot of liver, heart, gut and eye ripping from the patient, and breaking bones with the hammer. 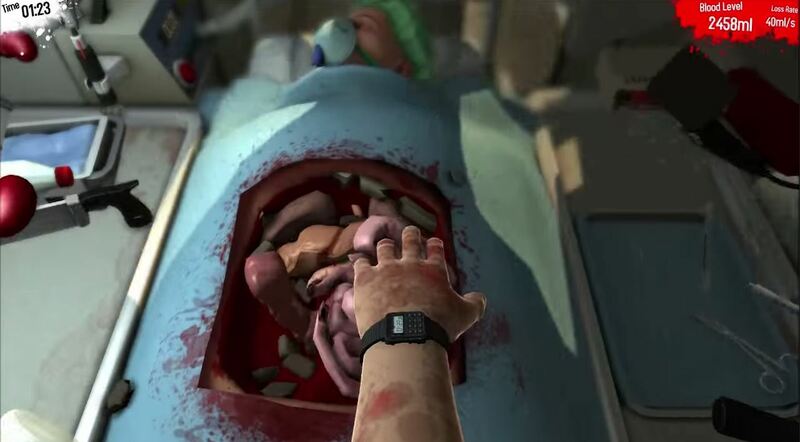 Surgeon Simulator 2013 review were fairly good. It succeeds in humoring you while at the same time provides challenge. For some however, controls were too hard to get used to. I would suggest though to experience this game yourself.